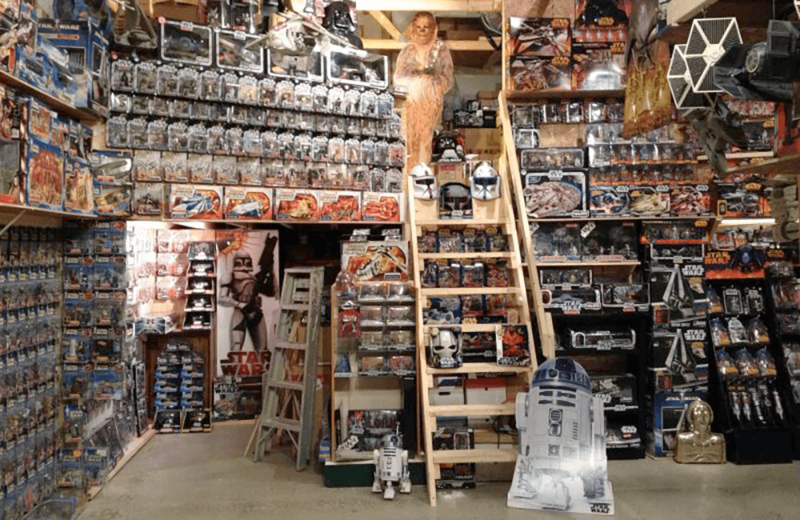 One of the largest collections of Star Wars merchandise in the U.S. is for sale. Just in time for the weekend: These ’70’s disaster movies are binge-worthy guilty pleasures. The adventure of three brothers told using a Rube Goldberg Machine. Complete with a charming soundtrack. You’ll never look at shadows the same way again, thanks to these clever doodles from Vincent Bal. David Hasselhoff raps on the soundtrack to Guardians of the Galaxy Vol. 2. You’ll never get this out of your head. Here’s a list of rejected comic book TV pilots; you’ll be thankful they didn’t hit the airwaves. Drive-thru Fotomats; about the size of today’s tiny homes. These LEGO Ideas Books from the 1970s may look dated but the creations inside are still impressive. The new Nerf Nitro toy line re-imagines the Hot Wheels track and 7 other things we wanted to share this week. A look at The Strong's 2018 National Toy Hall of Fame finalists and 7 other things we wanted to share this week.